Treat your keys to a handsome home when you keep them safely affixed to these Duck Dynasty Talking Key Chains! The camouflage key chain features the Duck Dynasty TV show logo you know and love. 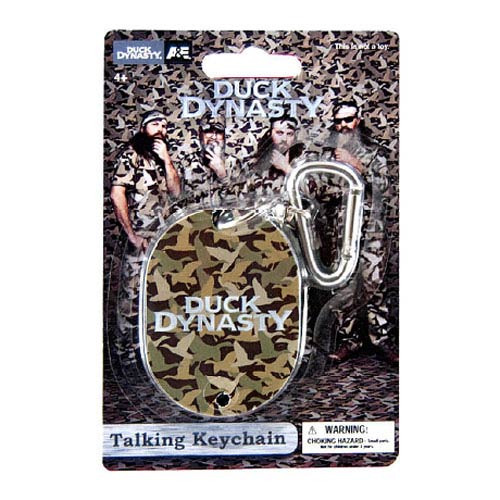 The Duck Dynasty Talking Key Chain comes with a metal clip that's easy to attach to your house, car, and other keys. Ages 4 and up.